← Will you be there? When I woke up to a rainy Friday I continued to repeat the well-known phrase, “April showers bring May flowers.” As I did my rebellious nature started to get the best of me. I wasn’t going to let the rain bring me down and I was determined to bring flowers to my first weekend of April. 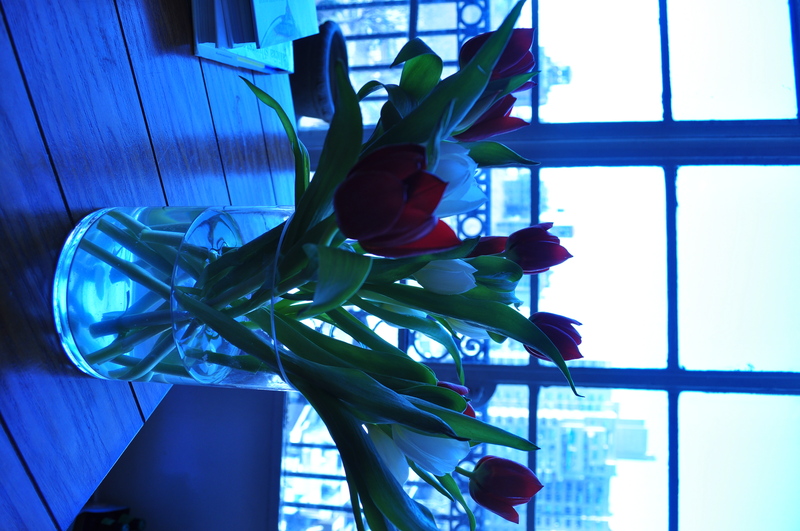 So the first thing I did Friday morning was go to Trader Joe’s and picked up two bunches of tulips. What I find so amazing about tulips is how quickly they open up. Only closed buds when I purchased them, they were practically in full bloom 12 hours later. As the tulips gave me instant gratification, there is another flowering plant in my apartment that brings me to whole new level of happiness. It’s my orchid. 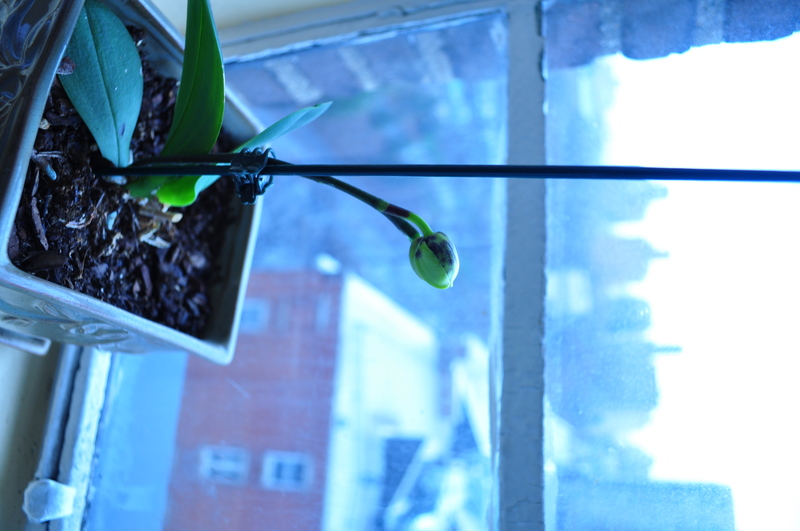 Anyone who’s ever had an orchid knows how difficult and temperamental the plant can be. The best advice that I received about the up keep of an orchid was leave it alone! I like to say that they are the divas of the flower world and they really want to do their own thing at their own pace. I purchased this plant about a year ago already in bloom and as the flowers died I was left with just two leaves. I couldn’t bring myself to throw it away while there was still life; so when I saw these buds I couldn’t have been more excited. I cannot wait to watch this plant continue to grow and don’t worry, I’ll be sharing the progress! Are you starting to see your plants begin to bloom? What flowers put you in the Spring spirit? This entry was posted in Blooming and tagged flowers, orchids. Bookmark the permalink. I love your personification of the orchid. The ‘diva’ of the flower world – wonderfully stated! I happen to be a big fan of hydrangeas, and while I haven’t seen any yet, those most definitely put me in the ‘Springiest’ spirit!